New Line Cinema’s The Nun is the newest – and darkest – chapter in the Conjuring Universe of films. It precedes the events of the previous films: Annabelle: Creation, Annabelle, The Conjuring and The Conjuring 2. Check out the following interesting trivia about the making of The Nun. The Nun was filmed entirely in Romania. 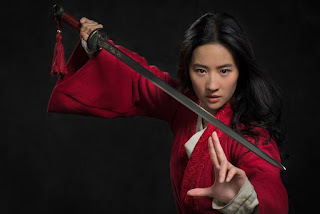 Although the film is set in 1950s, most of the action takes place in 14th century buildings. Belt out and dance to your heart’s desire with the ABS-CBN stars and MOR 101.9 DJs Jhai Ho and Eva Ronda at the “MOR Global Pop Icon in Korea” on September 30 at the Dong Sung High School Auditorium in Hyehwa-dong, in Seoul, South Korea. 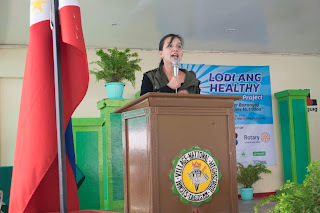 The Health and Dietary Supplement Association of the Philippines (HADSAP) has done its share over the years, to ensure that education on basic nutrition in the Philippines remains ongoing. This year however, HADSAP decided it was time to cascade that education to those who need it most, young mothers with young families at the grassroots level. 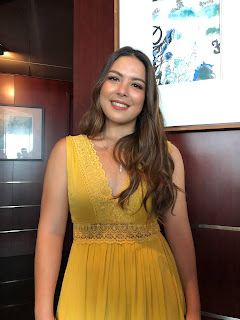 Ria Atayde Career Continues To Shine In "The Hows Of Us"
With even just a few years in showbiz, Ria Atayde is doing well with her career along with the success of his family. Ria started with several side roles in the Kapamilya Network which eventually led to more roles. Now she is part of the groundbreaking film featuring KathNiel in "The Hows of Us" by Cathy Garcia-Molina. The movie is now showing in theaters and is one of the last films by Direk Cathy before she retires from directing films. 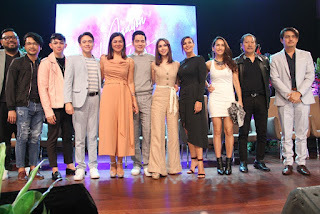 Ria mentioned that it was her bucketlist to be part of a Cathy Carcia-Molina film, she got this opportunity ahead of her mother Sylvia Sanchez and brother Arjo Atayde. This year, she recently launched a business with Joseph Marco. 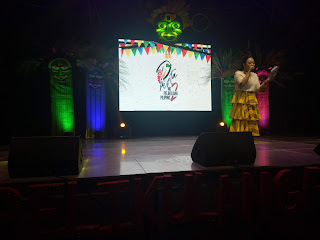 Ria’s role in the movie is said to play an important role between the characters of Kathryn and Daniel, George and Primo. Ria is also slated to be part of the MMFF Movie "The Girl In The Orange Dress" which details were still not completely revealed but we might see a more daring Ria there. They Do Exist! Meet the Characters of "Smallfoot"
MIGO (Channing Tatum). An honest and true young yeti with a heart as big as his giant blue feet, Migo has always trusted the village teachings, such as: do what you’re told and don’t ask questions. 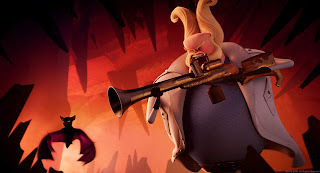 But when he accidentally discovers something he was told doesn’t exist – a Smallfoot – he wants everyone to know about it! Even if it turns their lives upside down. 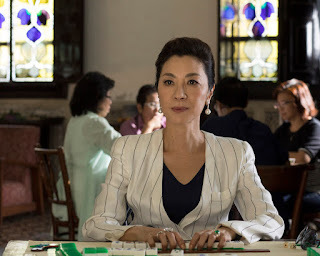 The Philippine box-office laid out the red carpet for Warner Bros. Pictures’ “Crazy Rich Asians” as Filipino movie fans rushed to the cinemas and gave the romantic comedy a record-breaking P82.7-M gross in five days, victoriously opening at No.1. Rehydration is absolutely vital, especially for those who live active lifestyles. 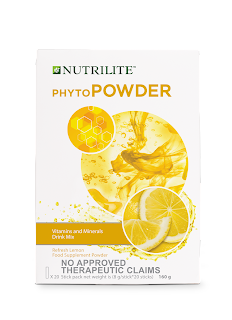 For oral rehydration, the new gold standard is Amway’s Nutrilite PhytoPowder. No other drink on the market offers the benefits of Nutrilite PhytoPowder, and the fact that it comes in convenient foil stick packs means you can drink it anywhere there is drinking water. PhytoPowder is truly a rehydration solution like no other. It is no secret that the human body is mostly water, but science has shown that when we sweat, drink too much alcohol, or when we have diarrhea, we lose not just water but the ability to retain water. This is because the electrolytes that allow the human body to retain water are in fact water soluble. The water we lose as we sweat heavily also washes away electrolytes as we lose it. 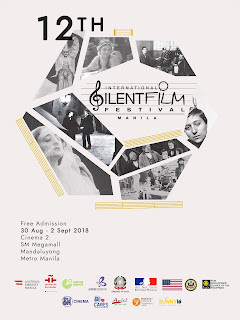 Silence does not always mean boring, this has been proven with the 12 years of the International Silent Film Festival that continues to charm attendees and for this year with a new venue for its screenings. This event has been loved by viewers by bringing in classic silent movies from different parts of the world, including the Philippines, and accompanied by live musical performances. Established in 2007 as the first of its kind in Asia, the ISFFM promises to bring once more to Manila film buffs and music aficionados an extraordinary experience. From the 1890’s to the 1920’s, audiences around the world were enchanted by the magic of watching soundless images on a screen accompanied by live music played by different performing artists. Julia Barretto and Joshua Garcia are ready to take their acting prowess a notch higher as they star in ABS-CBN’s latest series offering, “Ngayon at Kailanman”, which can be seen outside the Philippines via The Filipino Channel (TFC), with its pilot episode streaming in most countries worldwide via TFC online (www.TFC.tv) on August 20. Toy Kingdom's Toy Expo Back This 2018 At SMX! Toy Collectors, Kids, and Enthusiasts will definitely love to be in the biggest toy event in the country that is happening at the SMX Convention Center, Mall of Asia Complex in Pasay City on August 24-26. Brought to us by Toy Kingdom, they brought in the biggest brands in toys, exclusive items and even hard to find toys that excites toy lovers of all ages. Covering three halls at the second floor of SMX, it completely fills all the halls with blocks of toys of different sizes and types. This is also a perfect opportunity for an early Christmas shopping for toys with many of them are on sale. They also have event exclusive items, freebies, promos and even special programs by toy brands. Thousands of gaming fanatics flocked to the Mall of Asia Arena last August 18-19 for the country's biggest League of Legends event, Globe Conquerors Manila 2018! 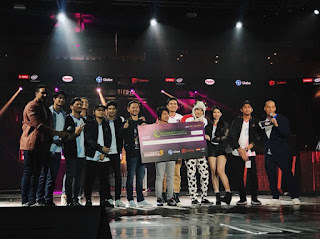 Presented by Globe and Garena, the major esports tournament saw 8 teams from Philippines, Thailand, Malaysia, Singapore, and Indonesia battle it out to become the best team in Southeast Asia. Gamers were also treated to the new HomeSurf promo of free internet for gaming from Globe At Home! Check Out The Stars From Crazy Rich Asians On Sony Channel! 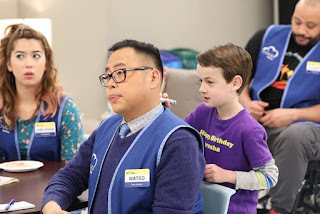 If you have seen the movie or not, you can still enjoy the comedy that Nico Santos and Ken Jeong can deliver in their shows at Sony Channel. Kpop fans are in for another much-awaited concert experience as Wanna One performs live in Manila on September 1 at the SM Mall of Asia Arena as part of their Wanna One World Tour . Globe is giving its customers a chance to see their favorite Wanna One members live as they are giving away tickets to lucky winners—just by subscribing to GoSURF! 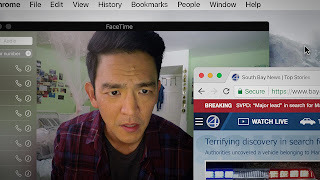 From the studio that gave us the exhilarating movie Bad Genius, Gross National Happiness has made history again with another blockbuster film with Brother of The Year (น้อง.พี่.ที่รัก). 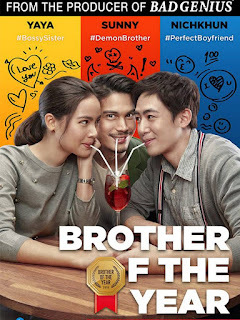 Starring Sunny Suwanmatthanon (Chut), Urriana Seidund (Jane), and Nichkhun Nahvejkul (Moji), brings siblings in a war and a boyfriend. As siblings, have polar personalities, wherein Jane is a overachiever in may aspects, while Chut lives a very bachelor life infuriating his sister. But when Jane met Moji, they eventually clicked and became a couple. This new found love of Jane gets to the nerves of his brother. But things gets worse when they finally revealed their engagement and plans to move to Japan. The Day After Valentine's - JC-Bella Magic Once Again? 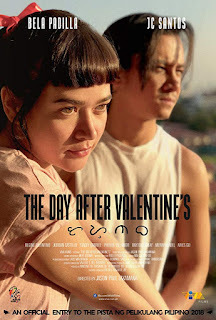 From the success of last year's PPP entry "100 Tula Para Kay Stella", comes another JC Santos and Bella Padilla movie team up directed by Jason Paul Laxamana, The Day After Valentine's is an encore movie that hopes to be another blockbuster hit from the two. Though with a new set of characters and story, many are rooting for the chemistry of JC and Bella which has a charm with their unconventional love stories. This one starts with the common serendipity meet up which eventually leads to friendship. 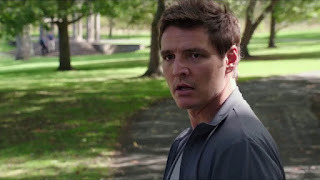 Kai (JC) is still emotionally attached to his last relationship which also drives him to hurt himself. 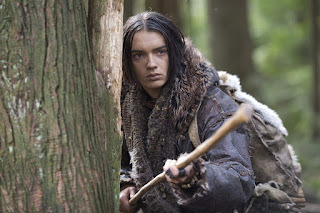 Lani (Bella) discovers his secret and offers to help him on the road to healing. 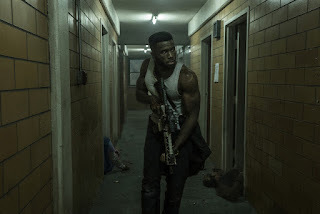 Though they do make a good pair, the story comes a little flat with not enough factors to build up the character connection. Despite many people does not like the damatic angst characters of Lani and Kai. 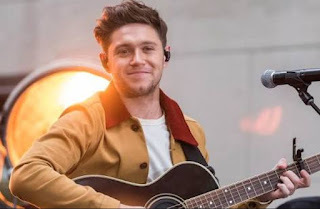 Singer, songwriter Niall Horan debuted the original new song “Finally Free” to fans recently. It’s the first single from the soundtrack to the animated adventure “Smallfoot,” opening in Philippine theatres September 27th with an all-star cast led by Channing Tatum, James Corden, Zendaya and Common. 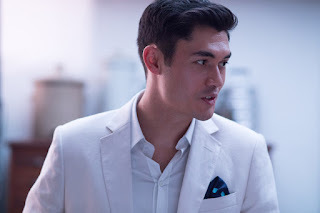 Constance Wu, Henry Golding Steal Your Hearts in "Crazy Rich Asians"
The Meg - Another Shark Movie? Before we dig into deep waters, let us acknowledge that sharks species are threatened by poaching and other human activities, and shark attacks are more rare than we thought. Now let's talk about The Meg, a shortened version of Megalodion or prehistoric shark which is making havoc in Asian waters. Led by Jason Statham, Li Bingbing, and Ruby Rose, the race for undersea discoveries led a research team to encounter the biggest shark of the modern ear. Though a real live Megalodion was never seen by humans, evidence from fossils and teeth were the proof that this creature becomes the top of the food chain. With shark classics like "Jaws" and the most recent "The Shallows" made sharks the fish to be feared in the seas, They fall short to the size and impact of the Meg and what damage it can do even with large boats and structures. People look like pellets for it to be munched. 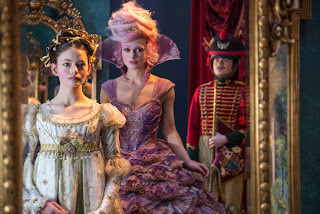 New Trailer Reveals Disney's Magical Film "The Nutcracker and the Four Realms"
Experience the magic and uncover the mystery in Walt Disney Pictures' new fantasy adventure The Nutcracker and the Four Realms. After a stressful workweek dealing with chaotic traffic and other woes of city living, most people just want to spend a relaxing weekend in the company of family and friends. Few, however, can beat the enthusiasm of avid golfers for finding the perfect getaway, one that exudes the luxury and elegance of a premier mountain resort community and provides access to a championship golf course set amidst breathtaking views. 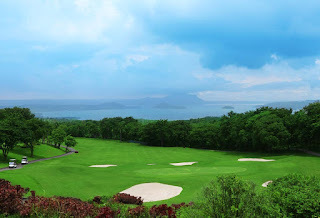 This is why Tagaytay Highlands has become the favorite weekend destination of golfers and their families, where they spend time with other residents and guests who share the same passion for the sport. 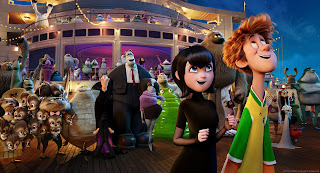 Comedy superstar Adam Sandler once again provides the fatherly voice of Drac in Columbia Pictures’ Hotel Transylvania 3: A Monster Vacation. Drac’s life seems perfect. He’s surrounded by his family and the hotel is busier than ever. The only thing he needs is a vacation! 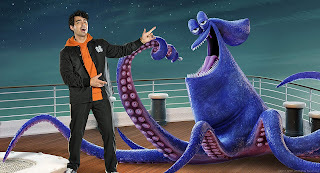 He can’t wait to spend some quality time with Mavis, Dennis and the rest of his family on the world’s first ever cruise for monsters. But little does Drac know, this cruise is actually a well-designed trap to wipe out all monster-kind!! Will Drac be able to sniff out this plan or will he be distracted by his new found love of the high seas? 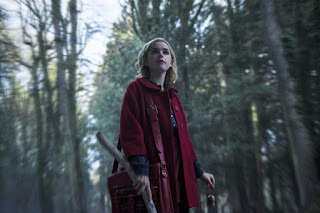 Netflix released the first two official photos from Chilling Adventures of Sabrina starring Kiernan Shipka. Based on the comic series which has also been tuned into a live action series and animation, now comes a more dark adaptation of the teenage witch. 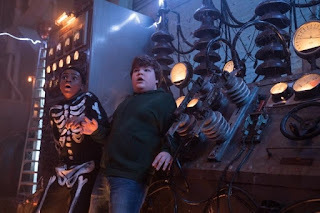 Watch the Spooky New Trailer of "Goosebumps 2: Haunted Halloween"
YouTube: https://youtu.be/70yNQo2yXjs Halloween comes to life in a brand-new, family adventure comedy based on R.L. Stine’s 400-million-selling series of books. Nothing stirs up feelings of warmth and comfort or provides a pleasant start to our mornings than a good old serving of chocolate. For the month of August, Tim Hortons ® offers more chocolate goodness that will surely put anyone in a cheery mood with its limited edition “Chocolicious Donut” and “White Hot Chocolate” creations. 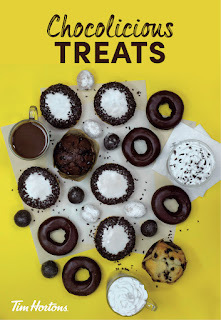 A satisfying addition to Tim Hortons ® line of chocolate food products, customers will get to find out why the Chocolicious Donut and the White Hot Chocolate are delightful treats for any chocolate lover. The Chocolicious Donut is a yeast filled donut dipped in white fondant with chocolate brownie filling and dark chocolate flakes. A wonderful pair to this donut is the White Hot Chocolate with its rich, smooth texture, this chocolate drink has the perfect milky note and the right amount of sweetness topped with whipped cream. Cancer has been one of humanity's greatest adversary in health with millions losing their lives and suffering a lot due to the conditions it afflicts to its victims. Though there is no established cure for this, the pursuit continues to proper treatment and innovations in science and health. Leading the way for better Cancer treament is The Medical City which recently launched the Augusto P. Sarmiento Cancer Institute (APSCI), named after its Chairman of the Board and one of the country’s top surgical oncologists. FREE GAS FOR LIFE! Yes SEAOIL's Incredible Promo Is Back! Who does not want FREE GAS FOR LIFE?! Everyone does, and this is the most unbelievable gas promo that only SEAOIL, the largest independent fuel provider in the Philippines, can provide. Last year they have already awarded four lucky customers who came from different walks of life and places in the Philippines. Now on its second year, it will continue to draw up another set of winners who will get free gas for their lifetime. There will be also over 100,000 of instant prizes through peel-off cards. Thirty (30) P10,000 worth of SEAOIL gift cards will also be raffled off in the monthly draws. With each entry one can win instantly with the peel off prizes, and up to four chances to be part of the lucky four winners. Draws will be done both electronically and manually. 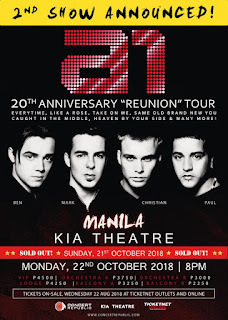 The kid from El Paso is coming to Manila. 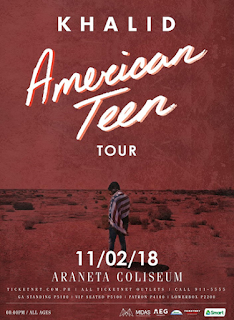 Catch Khalid's American Teen Tour at the Araneta Coliseum November 2nd! Midas Promotions is extremely excited to announce that Khalid will be bringing his American TeenTour to the Philippines! 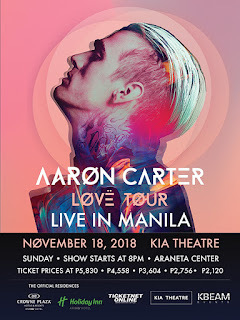 The breakout R&B and pop-soul star will perform at the SMART Araneta Coliseum on November 2 at 8PM where doors will open at 6PM. The one of a kind performance that fans have been waiting for since ‘Location’ came out in 2016 will be sponsored by SMART. 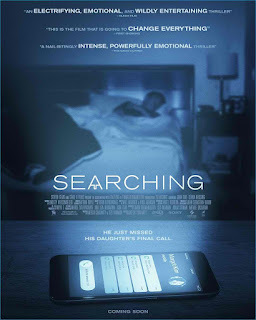 The Mystery Deepens in New Trailer for "Searching"
Get ready to witness world-class Filipino films at SM Cinema with the premiere of the Pista ng Pelikulang Pilipino (PPP) 2018! With their existing partnership with the Film Development Council of the Philippines (FDCP), SM Cinema fully supports the local film industry as they feature these 8 shortlisted movies that will bring unique cinema experiences to their audience. Ever imagined a life without the Internet? In Ang Babaeng Allergic sa Wifi, a girl named Norma is suddenly diagnosed with Electromagnetic Hyper-sensitivity. She is then forced to move to the province to start a new and simple life, away from everything she has been used to for so long. The movie is directed by Jun Robles Lana and stars Sue Ramirez, Jameson Blake, and Marcus Paterson. 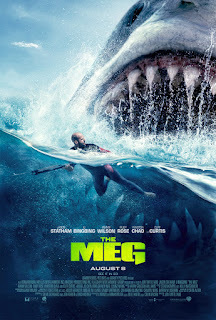 Warner Bros. Pictures’ giant shark thriller “The Meg” took the biggest bite off the Philippine box office this weekend to open at No.1.